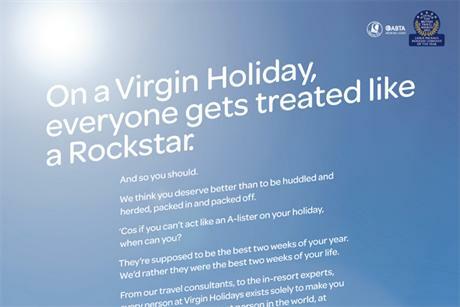 Virgin Holidays has called a review for its advertising account, currently handled by Elvis, which has worked on the brief for five years. Elvis has been invited to repitch for the business in a review overseen by Creativebrief. The agency was appointed to handle Virgin Holidays’ direct marketing account in 2007. Three years later the agency was handed the brand’s advertising account following the merger of its sister agency and incumbent on the account, MCBD, with Dare. The review follows a consolidation of marketing functions within Virgin Holidays for all of its group of brands. Andrew Shelton, marketing director at Virgin Holidays, said: "As we conclude the integration of all brand marketing in one central team, I believe it is the right time to conduct an agency review." Last year Elvis was behind Virgin Holidays' innovative Gatwick travelator campaign. The drive used RFID technology to create a bespoke digital poster along the length of the Gatwick travelator, triggered by customers' specific flights or a chip in the Virgin Holidays luggage tag. Virgin Holidays’ search agency Steak and media agency MG OMD will be unaffected by the review.